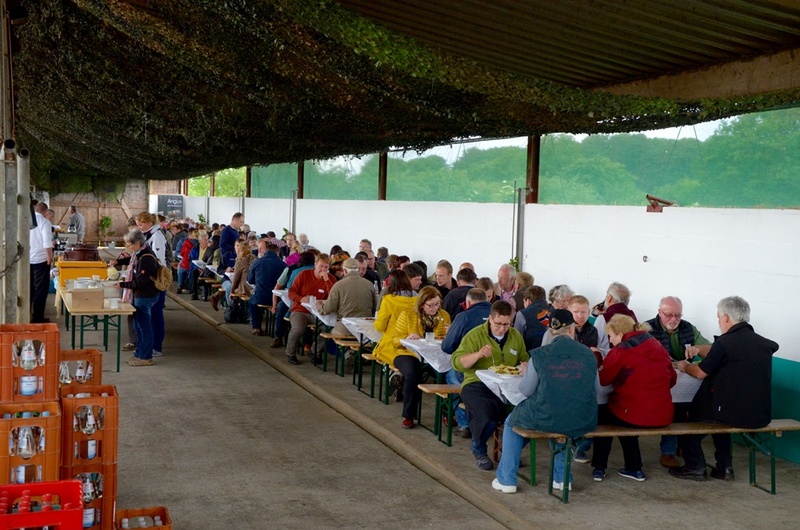 This year, German Angus breeders met in the very north of Schleswig-Holstein for their annual Angus Days. 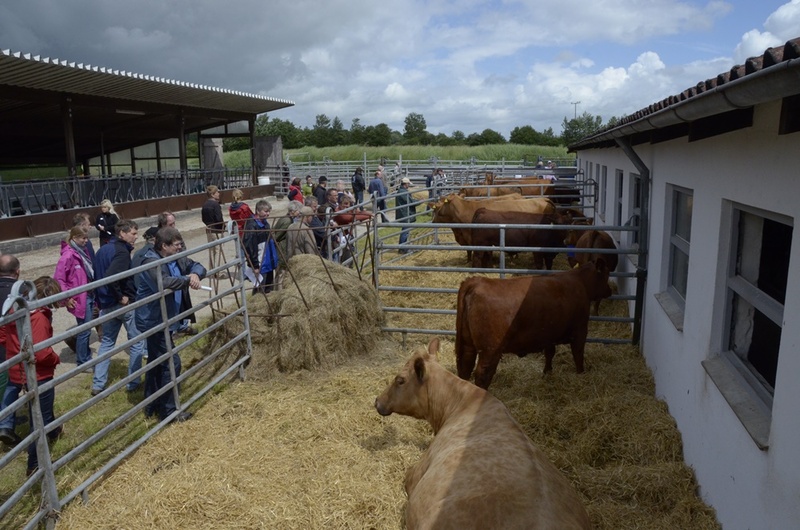 Despite less than optimal traffic conditions and although the traditional date had to be moved by a week due to Kiel Week, the two main organisers, Traute and Kurt Clausen, could welcome more than 100 guests on their farm Christelhoi in Mittelangeln, Satrup. The 70 hectare farm is operated in part time. 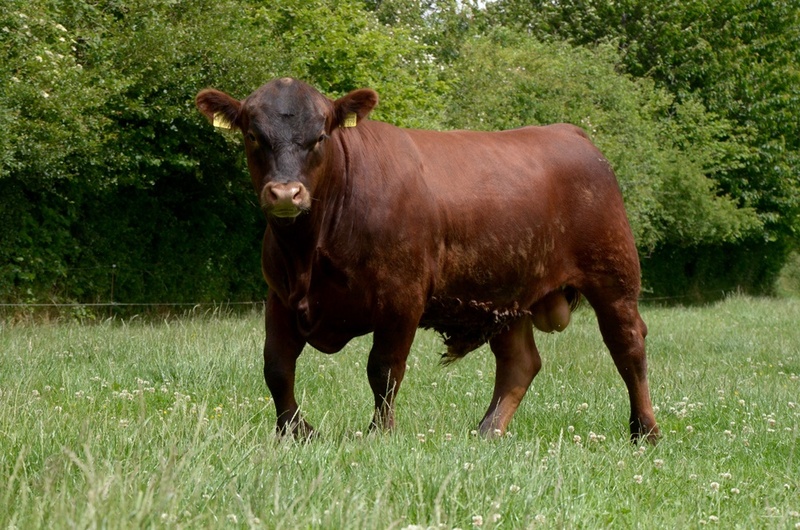 The breeding of Angus cattle has been continually grown over the last ten years. 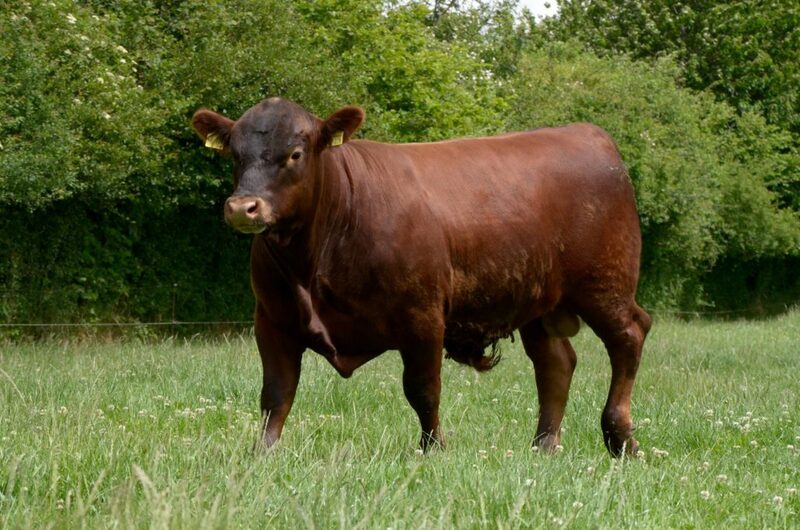 First, 25 red Angus herd book cows from German breeding areas were purchased and supplemented with the purchase of embryos from Canada. It has been beneficial for the breeders, that Kurt’s brother from Canada, who was present for the Angus Days, also operates a farm and breeds Angus cattle. Even a hard setback in June 2013 – 10 of their best cows were struck by lightning – did not discourage the couple. International genetic material from Australia and Northern America are used via insemination and embryo transfer. And so it is not surprising that most of the presented herds already have AA status. The breeding objectives are good-natured, functioning animals, which show good growth at an optimal basic food intake. Quite a few breeding animals have already made it into other herd books. Even some rain couldn’t dampen the good mood, as everyone found a place in the lovingly decorated stables and the food was excellent. After extensive expert discussions, the group moved on to Schleswig, where we moved into our Hotel Waldschlösschen. In the early evening, the participants were transported to the port in Kappeln, where the paddle steamer Schleiprincess awaited us. 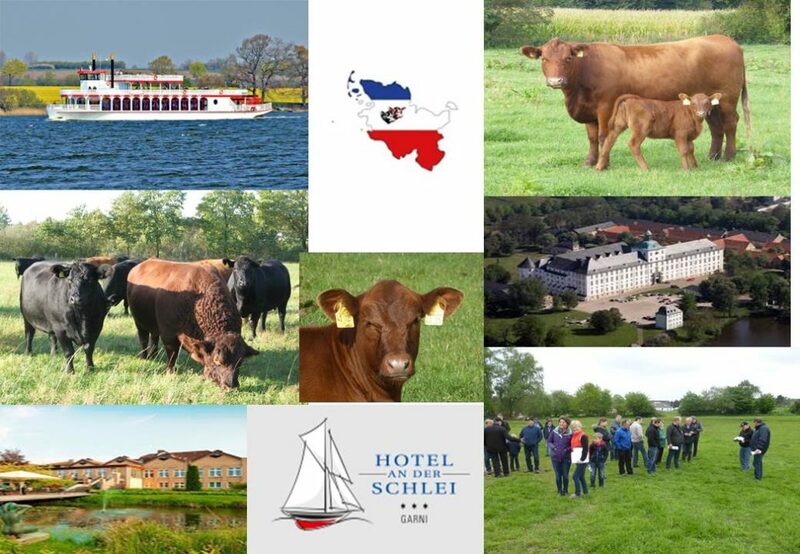 During an interesting cruise on the river Schlei, we could hold our members assembly and have dinner. 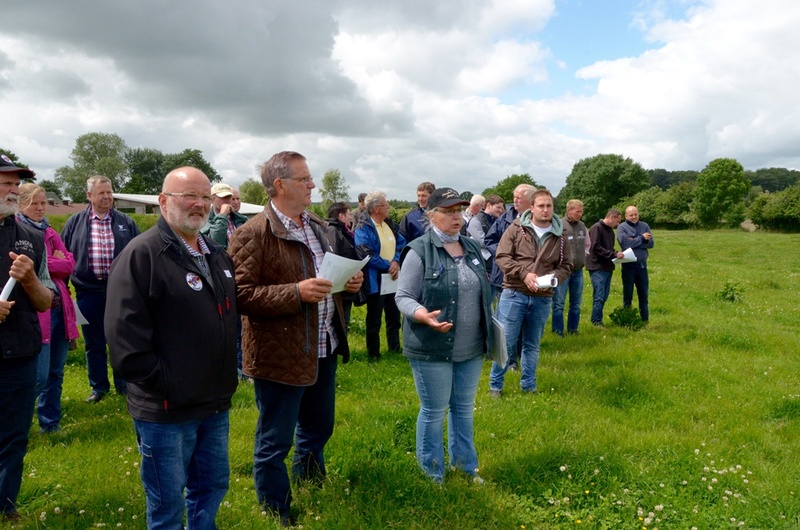 The representatives of the Schleswig-Holstein breeding organisations had the opportunity to present their businesses. Saturday began with a visit to castle Gottorf. The impressive castle hosts two national museums, the collection of art and art history from the high middle ages to the present time, as well as a museum of archaeology, the archive of 120,000 years of regional history and current research. 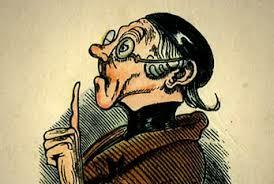 The exhibited 2000 year old bog mummies were particularly interesting for all participants. Unfortunately, we only had enough time for a short visit, as the morning also held a visit to the Landesgut Moltsfelde, a rehabilitation centre of the correctional facility Neumünster. The 110 hectare farm is ecologically operated and a certified organic farm with an emphasis on suckler cow husbandry. It houses about 50 Angus cows and two sires. 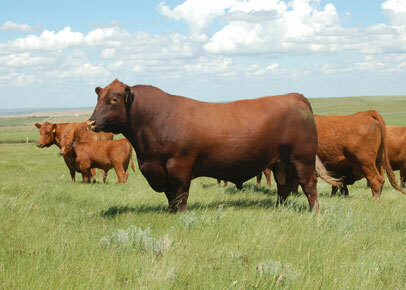 The progeny which is not used for breeding or sold are fattened and sold as organic meat. The presented herds appeared even-tempered and calm, which can be attributed to natural mating and the very intensive care. Up to 22 inmates of the open prison are caring for the herds and working in lumbering. After the inspection of the herd, the stables, as well as the accommodation of the inmates, we were dined in the machine hall and received further information on this very unique Angus farm. In the afternoon, we reached the Kamerun farm of the Göttsche family. Although still a little ill – but visibly on the way to recovery – the head of the family, Willi, was proud to welcome us in the cattle stables. His dedicated and very competent daughter took over the presentation of the farm and the cattle. Here, we saw a very balanced stock of 25 suckler cows with calves, who stayed remarkably calm in the face of so many visitors. 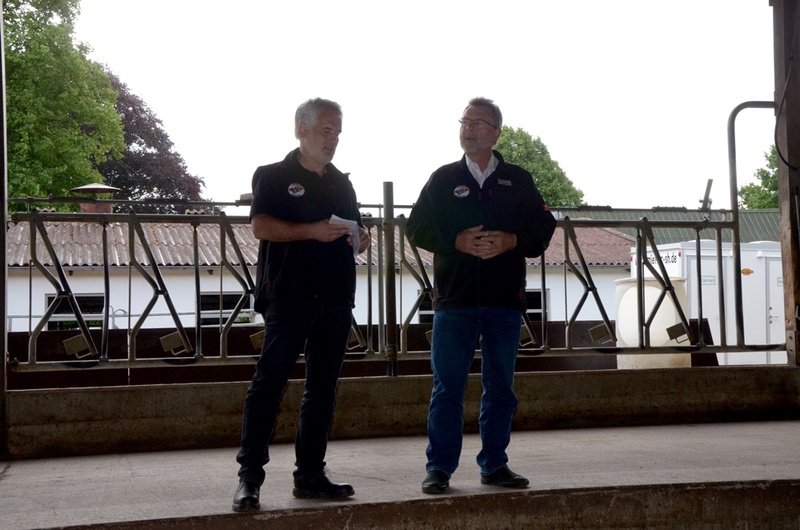 A look at the stock list showed that the farm’s animals were not only optically impressive but also showed above average breeding values. Many of the breeders present were able to find their names on the list of sires. The successful presentation ended with coffee and cake and, of course, the obligatory group photo and so we returned to the hotel filled with all the interesting impressions of the day. The following breeder’s night was enriched by an extraordinary gala dinner, for which Angus meat from the Clausen farm was prepared. It was an all-around successful evening which was rounded off by the wit and theatrical talent of the acting group “Speeldeel”. Our last stop on Sunday morning was the stud farm Schröder in Henstedt-Ulzburg near Hamburg. 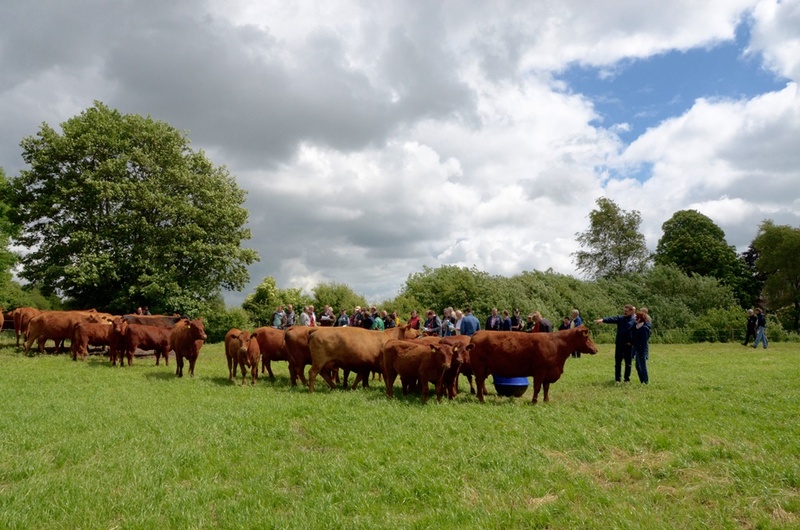 Due to a demolished bridge and closed-off motorway, the trip to the first herd took longer than anticipated but we finally all made it to the herd and the farm. The farm operates on 137 hectares, 92.5 of which are pastures and 54 of which are nature conservatory. The farm keeps 51 suckler cows. In the nature conservatory, we were able to observe a herd of cows with their calves. It became apparent once again that Angus is a breed that can obtain great results even on pastures with significant cultivation regulations. The sizeable estate had all the necessary facilities in order to take care of all the arising treatments, as the farm is quite a ways off. We were able to observe some heifers and then all came together for a final lunch in the large machine hall. We enjoyed the hospitality of the Schröder family in best weather and quietly ended the Angus days. 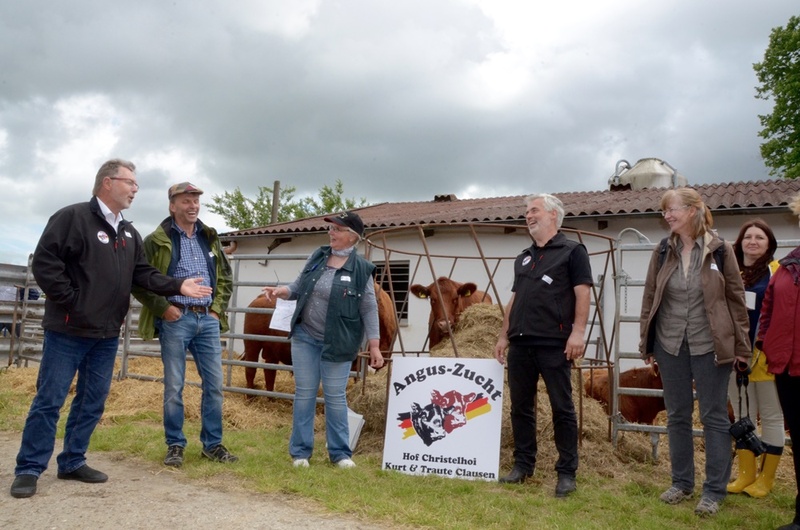 We hope to see everyone again in 2018 in Rheinland-Pfalz and would like to thank all our colleagues in Schleswig-Holstein who organised and realised this year’s successful Angus Days.